Peter Gruenstein served as a top congressional aide while earning his law degree at night from George Washington University, where he graduated with honors in 1973. After working as an investigative reporter and Bureau Chief of Capitol Hill News Service, Mr. Gruenstein co-authored a widely-praised book about Alaska, Lost Frontier: The Marketing of Alaska (with John Hanrahan; W. W. Norton; 1977). He then accepted a job as a prosecutor in Anchorage for the State of Alaska, and subsequently successfully prosecuted some of the most notorious murders in the history of the State of Alaska. 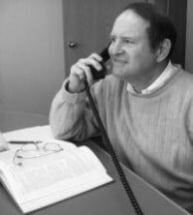 Mr. Gruenstein has been in private practice since 1987, joining the firm of then Hickey & Stewart in 1994. Mr. Gruenstein has been lead attorney in more than 75 jury trials. He has served on the faculty of the National Institute of Trial Advocacy (NITA), President of the Alaska chapter of the American Board of Trial Advocates, and as an elected delegate to the American Bar Association House of Delegates. The Anchorage Daily News has written of Peter Gruenstein that, "he has a background that suggests that he has been programmed for success." He has the highest Martindale-Hubbell rating of AV. Among Mr. Gruenstein's clients are: many Alaskans injured by the negligence of others; Anchorage police officers and firefighters, both active and retired; Providence Alaska Medical Center; the State of Hawaii Organization of Police Officers (SHOPO); Fred Meyer and Frontier Medical. In addition to plaintiffs' personal injury, his practice emphasizes class action law, anti-trust law, public pension law, health care law, wrongful termination, and business and commercial litigation. Mr. Gruenstein lives with his wife, Natalie, in Anchorage. He has three children: Jenna, Tess and Leo.